and datalogger. But also I often fly with a Garmin Venture cX, which can record flights, and occasionally I've flown with a Wintec WBT-201 Bluetooth GPS/logger. Wintec and the Garmin. 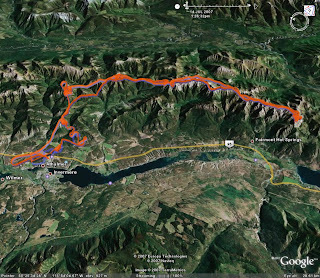 If you want to compare the recording behaviour of the two loggers, download the two .gpx tracks and then open them both in a program like GoogleEarth. two tracks except at the end (when the Garmin inexplicably shut off).